I grew up in the Chicago area (Lombard, IL) with my sister and parents (a retired attorney/United Methodist minister and retired school teacher) and not far away from my maternal grandparents and aunts, uncles, and numerous cousins on my mother’s side. I spent many weeks of my girlhood summers with my paternal grandmother in Eleva and then Eau Claire, Wisconsin, where she taught library science, with a specialization in African children’s literature, at the University of Wisconsin campus there. My maternal grandfather taught engineering sciences and applied mathematics at Northwestern University (north of Chicago), and my grandmother worked as an administrator in a nursing home. Both were active volunteers in their church and community, and they taught me the importance of giving back by working in soup kitchens, teaching English to newly arrived immigrants, inviting cadets from the Naval Station Great Lakes to holiday dinners (my grandfather enlisted in the U.S. Navy during WWII), helping seniors prepare their tax forms or get to medical appointments–they had amazing energy even into their 80s. My father has the same commitment to service through his work as a pastor, pro bono work at retirement homes (where I worked as a waitress as a teenager), and membership on Rotary. He ran for local office when I was young, and I have clear memories of preparing his campaign materials and affixing signs in neighbors’ lawns. I also have clear memories of his work as an assistant state’s attorney and, as a result, feel deep respect for the law enforcement system in this country. My mom’s love of teaching and nurturing of young people inspired me, as did the other teachers in my family (including my paternal grandfather, a professor of the Philosophy and History of Education at Saint Cloud State, MN, and aunt, a high school English teacher), to become a teacher myself. I am also passionate about research and, after receiving my BA in French from Northwestern University, pursued graduate work at the Ohio State University in Columbus. This passion took me to France, where I worked as an English teacher, both in a secondary school and at the University of Rennes (Brittany). My first position out of graduate school was at the University of Vermont, which was the best first job any aspiring professor could hope for. Now an Associate Professor of French at UVM, my areas of specialization in research and teaching are WWII, decolonization and the history of immigration and integration policy, France’s political history, and twentieth- and twenty-first-century French literature and film. 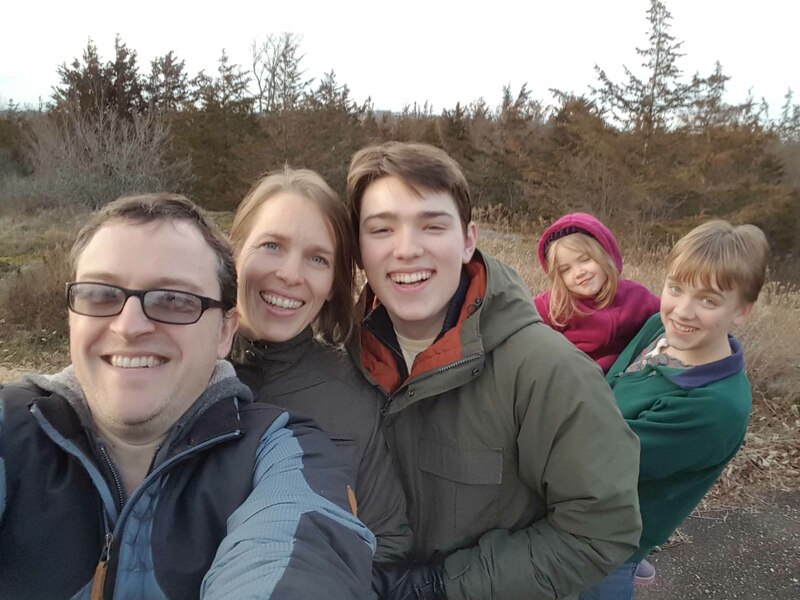 The urban/rural mix of my childhood made me feel right at home in South Burlington, where, when offered the position at UVM in 2002, I and my husband decided to purchase a home and where we are raising our three children, now 17, 15, and 5. We have never regretted our choice and feel deeply committed to this wonderful place that we call home. We are a City of diverse resources. We have thriving businesses, major transportation portals, preserved natural areas and working farmlands, vibrant neighborhoods, active volunteers and City boards, and a highly skilled City staff. I treasure this shared investment in our City and understand the need for balance between these entities. I first became involved in municipal affairs through my volunteerism at my children’s elementary school beginning in 2004, when our older son entered kindergarten at Chamberlin Elementary School. I was later appointed to the South Burlington Charter Review Committee in 2007, followed by a successful run for the Council in 2008. During my time on the Charter Review Committee, 2007-2008, the committee reformed the City’s Charter to include Neighborhood Civic Forums, a local governance structure I proposed and that more directly involves citizens in the City’s decision-making processes. During my first two terms on the Council, I was a strong advocate for the new police station (for which voters passed a bond in 2009), the conservation of Leduc, now Bread and Butter Farm, on our city’s southern limits (also in 2009), and the development of City Center (approved as a TIF district in 2013). I was also serving on the Council when carbon emissions reduction plans were established for City and School buildings. I took a two-year break from 2012 to 2014, when I successfully ran for a third term, which I am completing now. As you know, two of my passions, as your elected representative, are to do my part to uphold open, transparent, and accountable government and to increase citizen involvement and input into the City Council’s work in setting policy. I believe that policy decisions that directly impact our economy, infrastructure, environment, and residents are enhanced by active citizen participation and dialog among stakeholders, which promote buy-in and mutually respectful outcomes. In that same spirit, I am now actively advocating for the creation of a noise abatement committee through dialog with our partners for Airport noise mitigation, BTV and VTANG. As seen throughout the U.S., and as prioritized by the Federal Aviation Administration, this type of committee ensures best outcomes for residents and airports. In addition to doing regular City business, such as approving budgets and pursuing public-private City Center projects, one of the most pleasurable parts of my job is supporting the important initiatives of our most capable City staff: City Hall renovation and other capital improvement projects, Library and Recreation/Leisure Arts programming (“A Novel Idea” at Wheeler Homestead, Storytimes, workshops, concert series, City Fest, the Mozart Festival…), the Open Space and Natural Area Enhancement Plan (to be voted on this March), a dialog on the proposed legalization of marijuana, and continued quality services provided by our City Clerk’s office, Planning and Zoning Department, Public Safety (Police/Fire/Ambulance), and Department of Public Works. Between 2008 and 2015, I also served as South Burlington’s representative on Channel 17’s Board of Trustees and take pride in having served as its president. Channel 17 Town Meeting Television is the local government access channel, established over twenty years ago in order to give citizens direct access to civic conversations and monthly and special meetings of our local policy-makers. I look forward to continuing my service and would be honored to have that chance again if elected on March 1 to represent you on our City Council.